This shirt is a night out on the town themed shirt. This shirt looks great when heading to the party or out to the coolest night clubs in town. 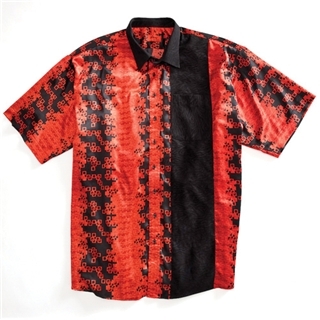 This shirt is made out of Thai silk and has small red squares on the main body fabric. This shirt will not be going into production. The fabric is just too hard to track down.